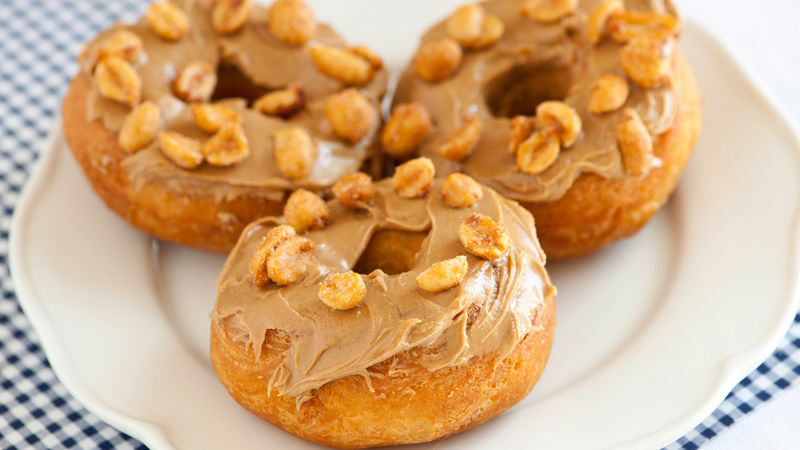 Spread peanut butter evenly on top of each doughnut. Sprinkle with peanuts. Don’t forget the doughnut holes. Fry separately until golden brown, then spread the tops with peanut butter. Instead of peanut butter, top doughnuts with hazelnut spread with cocoa.